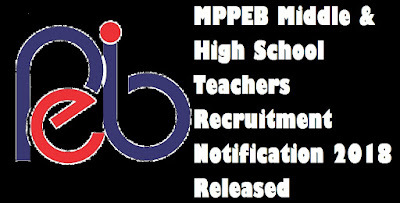 Madhya Pradesh Professional Examination Board(MPPEB) / Vyapam invites online application for recruitment to the Post of Middle School Teacher and High School Teachers. Last Date of Application is 30th October 2018. Essential Qualification: Candidates having bachelor Degree in relevant subject along with B.ED /B.Led Degree will be eligible for this recruitment.